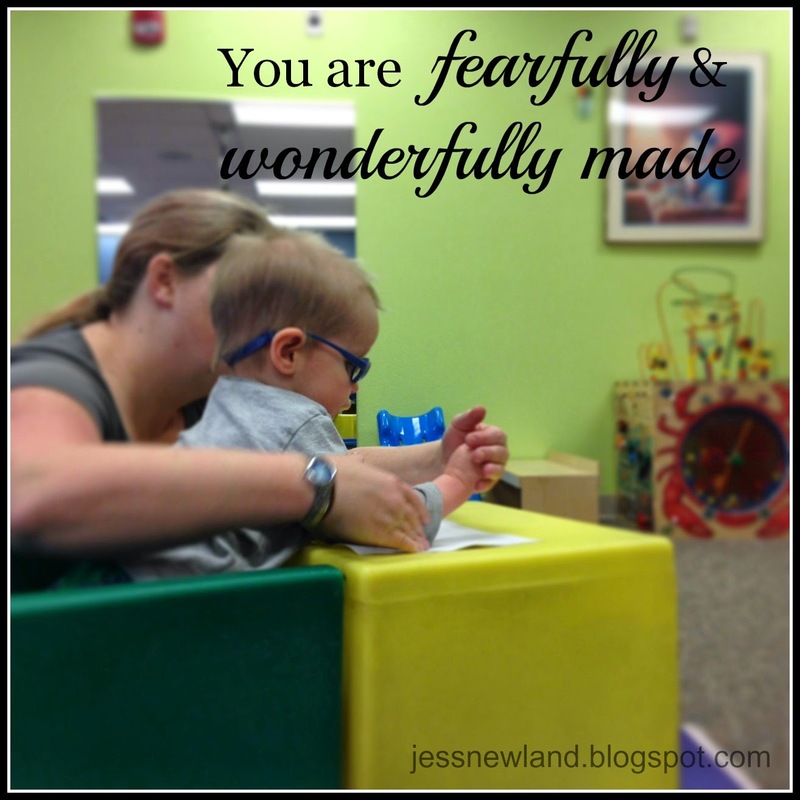 Three weeks ago I started a post that I never finished about Zachary's new exciting progress. In a very short amount of time Zachary went from crawling to pulling up and standing at an ottoman to climbing up onto furniture and eventually all the way up the stairs! It was so exciting and I lit up instagram with pictures. What I haven't expected with this journey is times of regression or plateau. Zachary has gone backwards a bit and won't even pull to stand anymore. No more climbing on furniture, no more climbing up stairs. His therapist isn't quite sure why he would do this, but they're back to the basics that started the initial progress. If I'm honest, it's frustrating to see him lose that new skill. It's frustrating to see him not respond to things the way the therapists want. It's frustrating to not have him speak or tell me what's wrong when he cries. It's frustrating when they do their yearly required assessment and he's labeled way behind his years, some things at the level of a small baby. But! In this journey I'm finding God uses these frustrating times to bring Him glory. To put my eyes back on what God already has done. I see His love all around me. Which in turn gives me incredible hope for what God can do. I'm discovering this is a cycle I will be on the rest of my life. Honestly? I think of it as such a privilege! To see closely God at work? Even if that's the only reason we had to walk this hard journey, I'd take it. So today I'm face down in worship and spending some time remembering how far he's come.